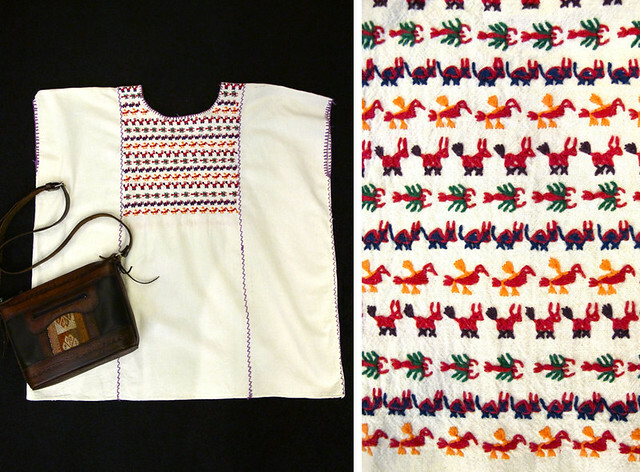 We love embroidery work. 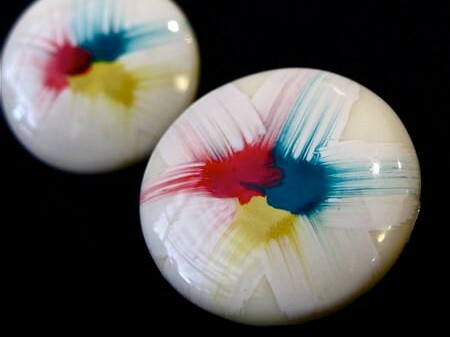 Check out these pretty pieces new in store! 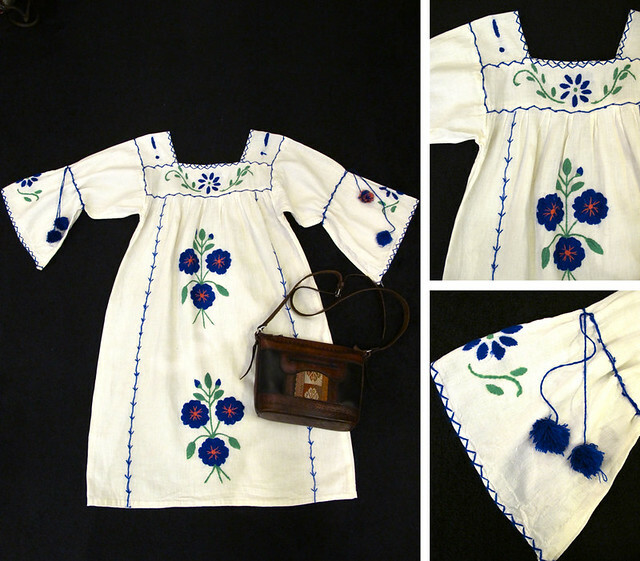 Channel your inner bohemian with this fabulous 1970s hippie chic embroidered floral dress. Check out the cute furry blue pom-poms on the sleeves! Luurrrvvvveeeee!! 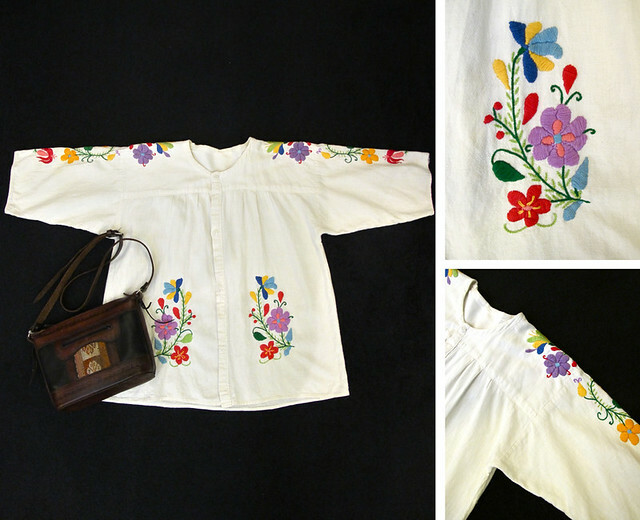 Sweet 1970s boho embroidered floral baby doll shirt. Super cute embroidered animals all in line! 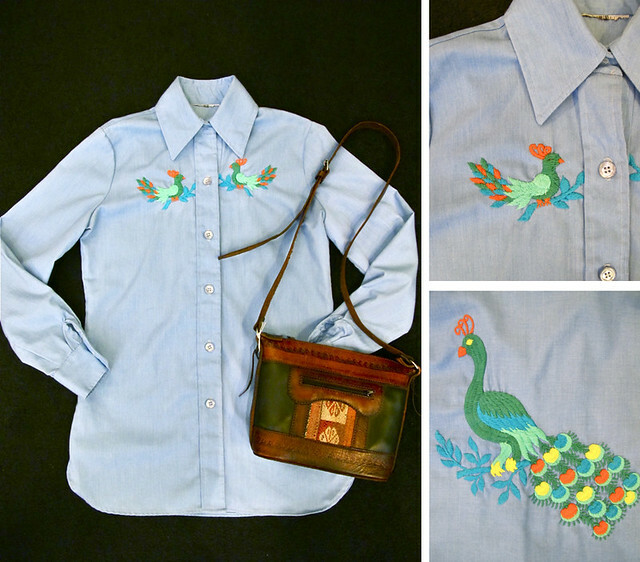 Awesome 1970s shirt with a gorgeous colourful peacock embroidered on the back of the shirt, and two matching embroidered birds at the front! 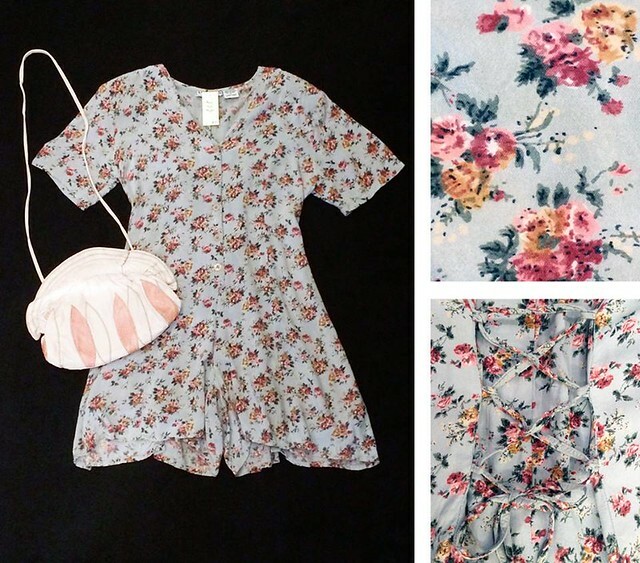 If you’re craving a sugary sweet dessert, these pastel floral pieces will definitely do the trick! A pastel blue floral romper. Super comfy and perfect for a casual date! 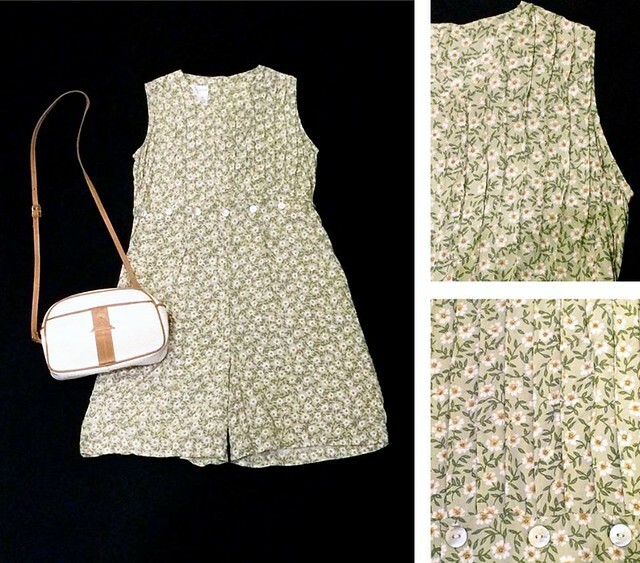 Another floral romper in a lovely shade of green, featuring unique pleating and button details. 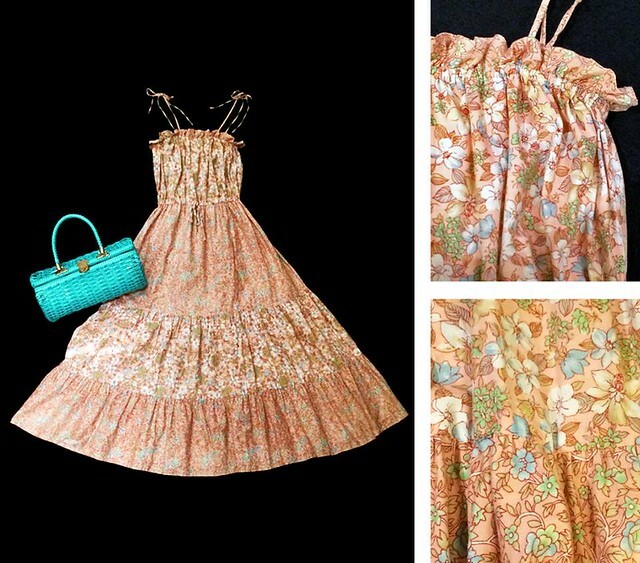 Sugary pink 1970s floral sundress. Loving the mixed floral patterns! 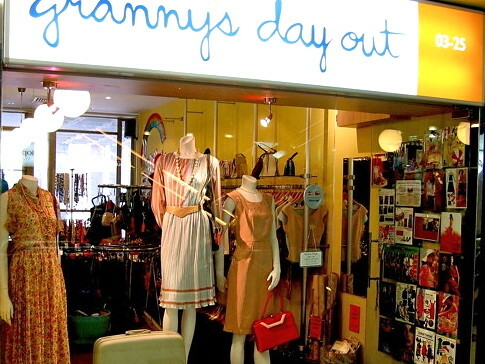 It’s back to the swinging sixties with these colourful mini outfits! 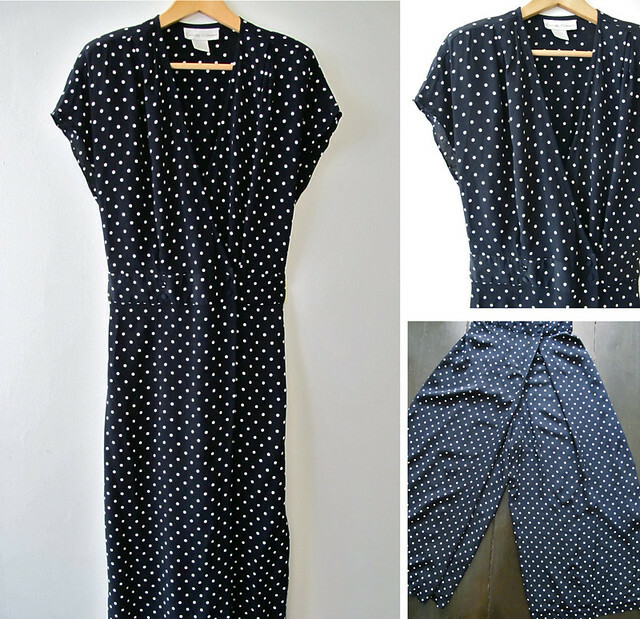 Super adorable 1960s skorts dress! The ingenious skorts offers the best of both worlds: the casualness of shorts, plus the femininity of a skirt! 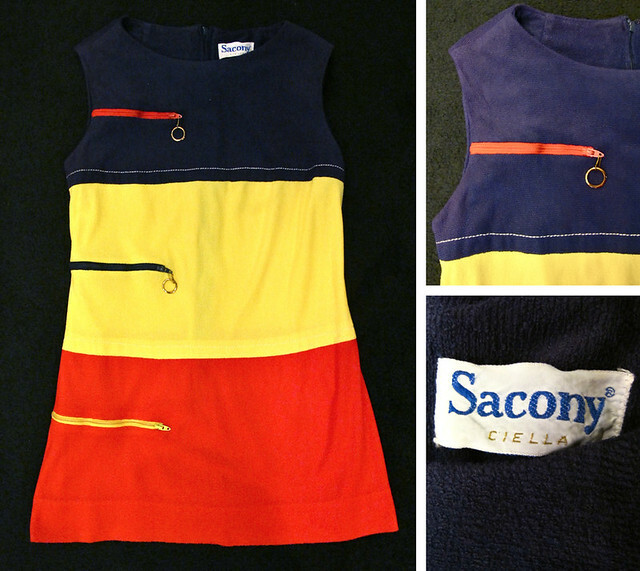 Cute colour- block mini dress by Sacony! 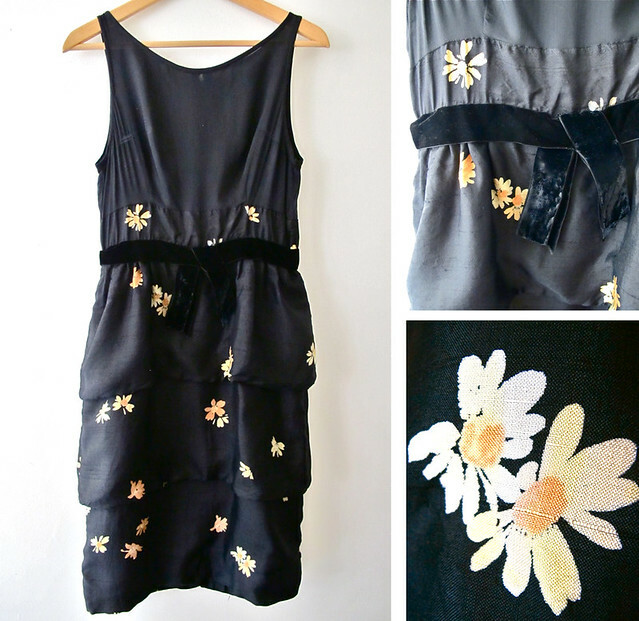 Check out the cute little side zipper embellishments! 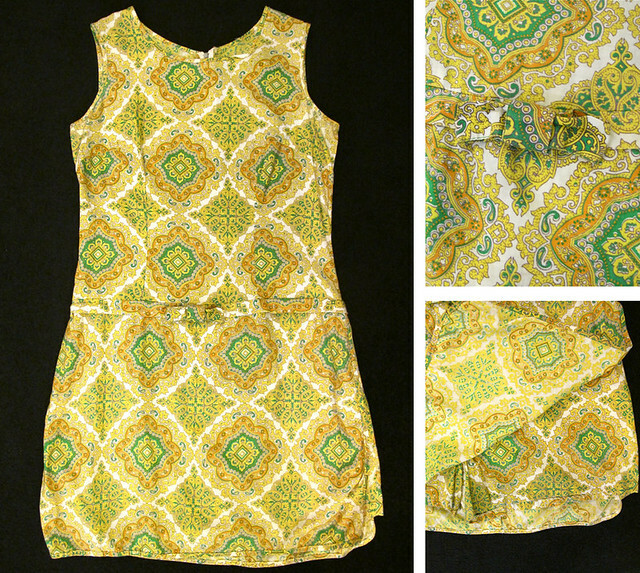 Playful and fun 1960s mini dress with bold circle prints all over! 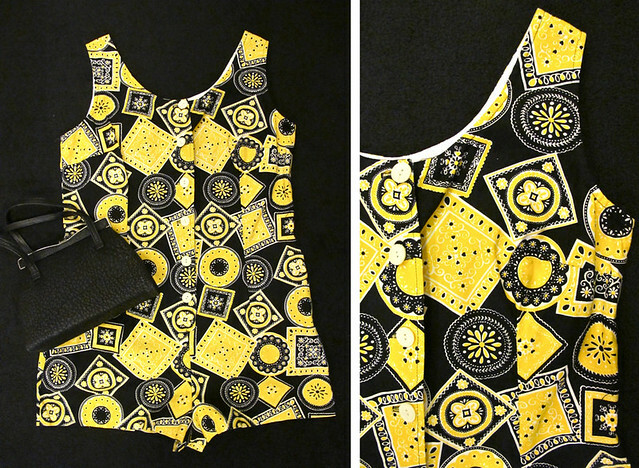 This little mini comes in the form of a romper! 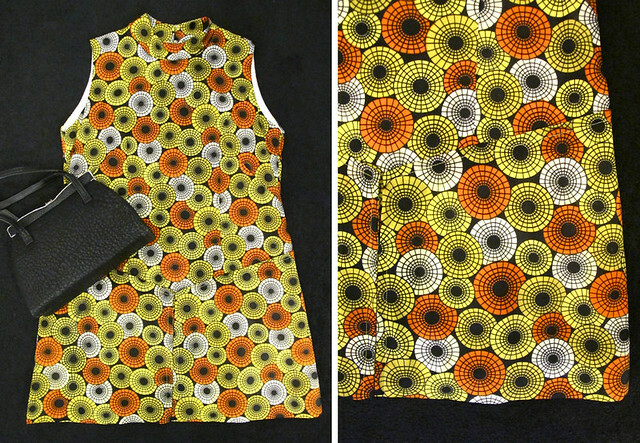 We are loving the print patterns on this playful number! 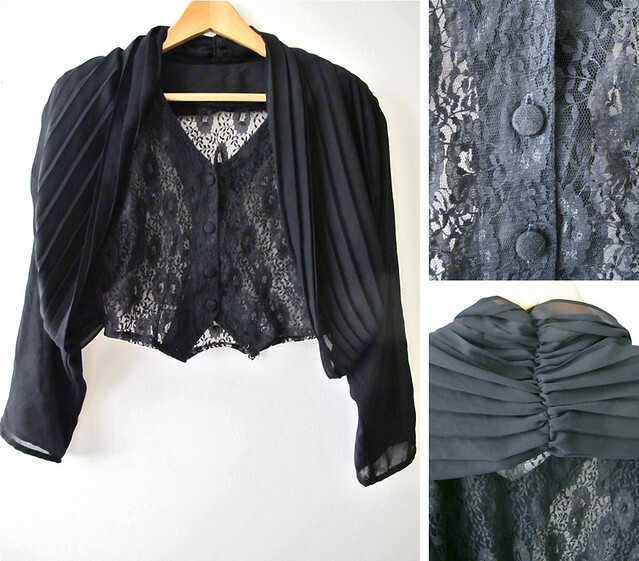 Just add a belt for waist definition!